Dr. Allie is originally from Shakopee, MN. After graduating high school, she attended Bemidji State University and Suny Oswego. 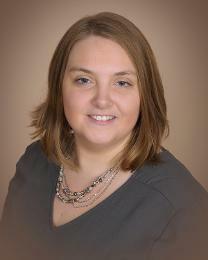 While attending Bemidji State University she began working in a chiropractic office. After seeing the lives that had been changed by chiropractic, it became her dream to change lives in the same way. Dr. Allie received a bachelors degree in biological sciences and then moved to Marietta, GA to attend chiropractic school at Life University. Dr. Allie graduated from Life University as a Doctor of Chiropractic and is a board certified chiropractor. Dr. Allie has received over 100 hours of training outside of school in Gonstead adjusting, including pediatirc and extremity adjusting. She is also a certified member of the Gonstead club at Life University. In her free time Dr. Allie enjoys spending quality time with her husband and son. Dr. Allie is excited to share the power of chiropractic with the New Prague community.